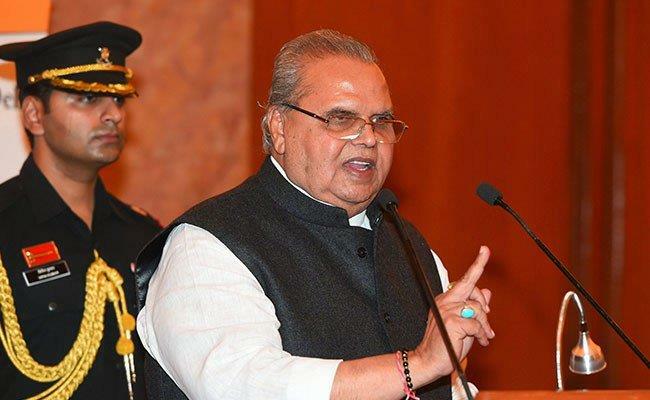 Srinagar:The PDP on Thursday accused Jammu and Kashmir Governor Satya Pal Malik of undermining the dignity of his constitutional office, a day after he called the party 'a sinking ship'. Senior Peoples Democratic Party (PDP) leader Sartaj Madni expressed serious concern over Malik's remarks, saying the situation was worrisome as it has made the 'state governor's office a joke'. "It is regrettable that since the day Malik assumed office in the state, he goes to every TV channel and newspaper, and makes statements without verifying facts. "The Governor's post is constitutional and has its own dignity, and it is expected from a Governor that he performs impartially without fear and favour," Madni said in a statement. "However, what we are seeing in Jammu and Kashmir for the past few months is a clear bias shown by the Raj Bhavan. "The Governor is making political statements and trying to lure people towards a particular political party," the PDP leader said. The statement asked the Governor to engage in the discharge of his constitutional duties and leave political statements for the politicians to make. On Wednesday, Malik told reporters that nobody should take PDP president and former Jammu and Kashmir Chief Minister Mehbooba Mufti seriously as her party was breaking up, and she was trying to keep her party's sinking ship afloat by whipping up anti-India sentiments.